This week the Scholars explored a range of different sources that document college life at St Ignatius College over its first fifty years on Roosevelt Road. No two sources yield the same types of information, allowing us to explore the experience of students and faculty in all its complexity and richness. Andrew uncovers the complicated – and at times contradictory – intellectual climate of St Ignatius College through its literary magazine. He shows how the magazine’s staff embraced realism in literature but took distinctly anti-reform positions on hot button issues in opinion pieces. 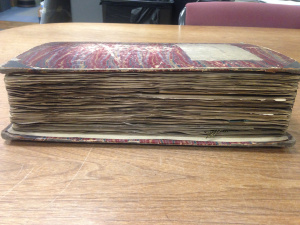 One of the several scrapbooks held in University Archives and Special Collections at Loyola. Beyond a profusion of social events at St Ignatius College, Bianca discovers a concerned engagement with contemporary political issues at the college in the 1890s. Shannon looks at past efforts by St Ignatius College to market itself. Entry of reception for President Grover Cleveland in Vice President’s Diary for October 1887. 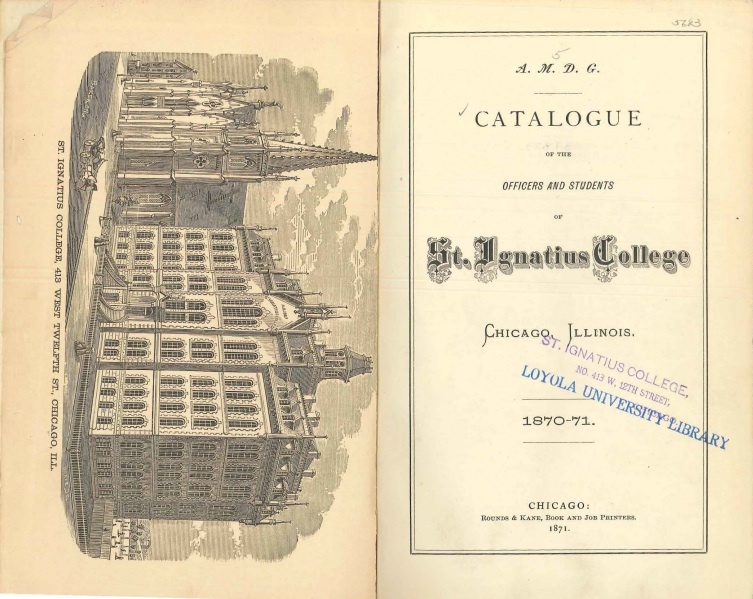 Collection of Loyola’s University Archives and Special Collections. In Brendan and Guy’s analysis, the Vice President’s Diary is revealed to reflect the particular interests of the Jesuit who held the position at the time, rather than a single universal concern. 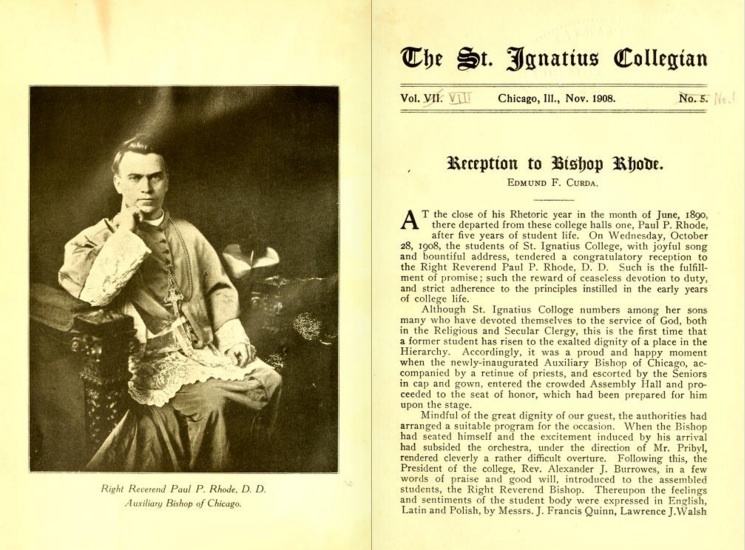 In 1871-72 his focus was on the Jesuits running the institution, yet by 1887-88 it had shifted to the students themselves. Claire finds potential antecedents to various Loyola traditions in the events of the 1877/78 school year. 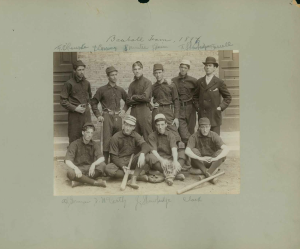 Collection of Loyola’s University Archives and Special Collections. Maya and Susie think about the ways in which visual images, like photographs, can connect viewers with the past in a way that is different, and more accessible, than text. Dan and Olivia survey the similarities and differences between nineteenth-century St Ignatius College and modern day Loyola University Chicago.